Hello everyone! 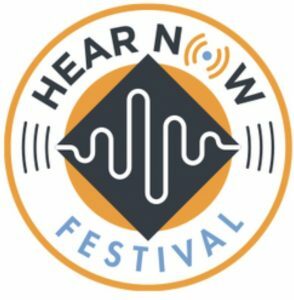 We have another exciting year in store for the Hear Now Festival in Kansas City! This time I will be focusing the workshop on more advanced production techniques including directing and recording, and how to re-build the story through post teaching and utilizing some advanced techniques and showing how to use Pro Tools. We’ll come this year with scripts ready-made and focus on building some amazing audio pieces. More details on the website and below, hope to see you there! Workshop 101 begins on with on-site check-in on Wednesday evening, June 5, 2019, between 4:00pm and 6:30pm, at the Festival’s main hotel, the Holiday Inn Country Club Plaza , one day earlier than the overall Festival, as classes begin Thursday morning, June 6th at 10:00am. Workshop 101 is a crash course in audio theater. In three and a half days, HEAR Now’s instructors take participants through the basics of writing, directing, producing and performing audio theater works. Participants review a script that will be performed, directed and acted by the Workshop 101 participants and enjoyed by all on the final day of the festival. Participants get the opportunity to interact with their accomplished teachers while also getting to meet many professionals throughout the field, who can become valued contacts. Workshop 101 continues the educational mission of HEAR Now’s parent organization The National Audio Theatre Festivals. Over the last three decades HEAR Now/NATF, and its faculty, have been producing audio theater workshops nationally. Workshop 101 reflects that knowledge in a focused hands-on program that gives participants better understanding on how to create their own audio theater projects.